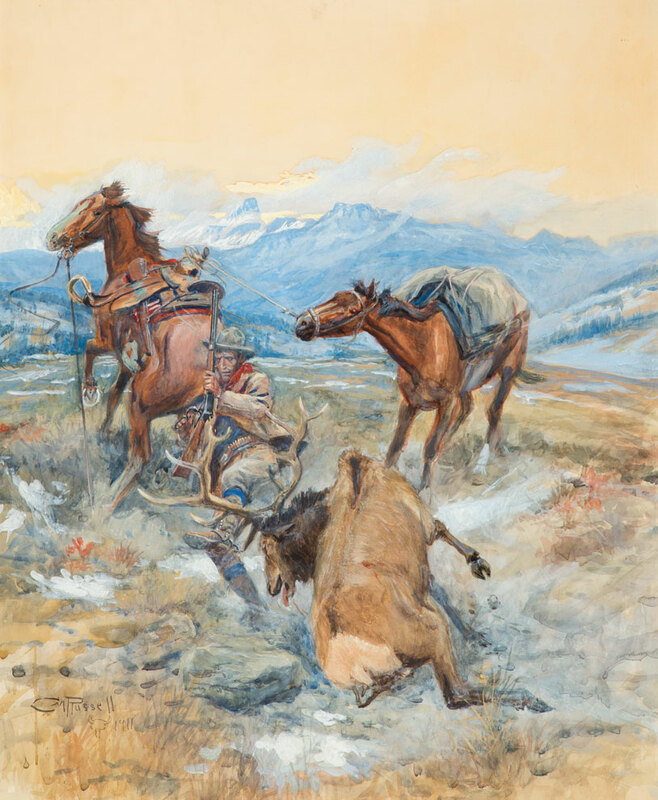 RESULTS We are the largest auction house in the country specializing in Western and American artwork. We hold over 160 actual world record prices, the highest of any auction in the field, and achieve the most consistent sales for our consignors. SALES RATE 96% of all lots are sold on average, the best in the industry. CLIENT BASE Over the past 30 years we have compiled the largest mailing list in the country of major private and institutional collectors. On average 800 attend in person each year with hundreds more bidding by phone, Internet, and absentee. MARKETING Our extensive national print and Internet advertising campaigns along with direct marketing to top collectors ensures we reach the most active buyers. TRANSPARENCY There are absolutely no hidden fees when you consign with us. We pay all insurance, cataloging, and marketing costs. CONVENIENCE We are readily available to assist with the shipping, restoration and framing of artwork. All costs for these services are fronted by the Coeur d’Alene Art Auction, so there are no upfront costs to you. CATALOGS Our catalogs are the finest and most extensively researched in the industry. We furnish the highest quality photography and descriptions for your items. REPUTATION We are the auction house of choice for major museums, corporations, and notable private collections. Whether you have an extensive collection, or individual painting, you may rest assured your consignment will be handled in a professional manner to maximize its value. We are pleased to announce that a select preview of works featured in our 2019 sale is now available for online viewing. We are also accepting a limited number of quality consignments for our 2019 sale to be held July 27 at the Grand Sierra Resort in Reno. For room reservations, visit the Grand Sierra Resort's website or call their reservations line at 800-501-2651 and use Group Code ART19 – offer valid through July 12. The Coeur d’Alene Art Auction Realized Over $13.5 Million in Sales The Coeur d’Alene Art Auction realized a total of over $13.5 million in sales at the 2018 Auction. The single largest event in the field of classic Western and American Art saw over 93% of all lots selling at our July 28 sale in Reno. Click here to view the catalog of works featured in our sale.